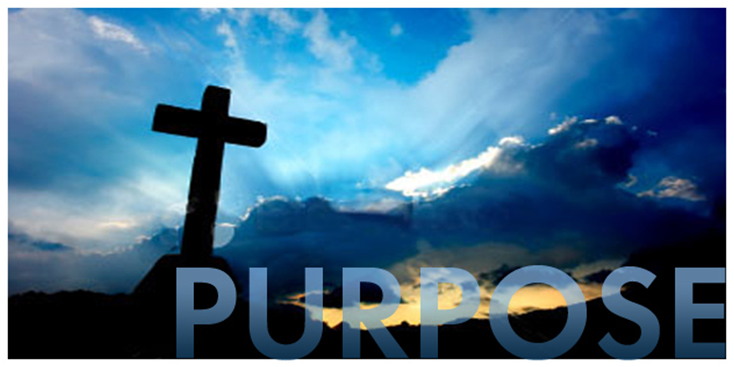 One of the lessons that I have learned in this year of transition is the special blessing of God’s gift of purpose. I believe that most human beings want to make a difference, want to be worth something to someone else and want to truly be of value in this world. That is why Paul’s word in Ephesians speak volumes to me, “For we are God’s workmanship, created in Christ Jesus to do good works, which God prepared in advance for us to do” Ephesians 2:10. My first couple of days in my new ministry at Missions Resource Network back in January of 2010, were a little overwhelming. I sat down with the MRN team and begin to discuss the teams they were helping to train, the churches they were ministering to and the international mission fields that were opening doors of opportunity. I was given one opportunity after another to travel and work with teams, churches and mission fields. Half way through the conversation the team realized that they were loading me down rather quickly and began to pull back from asking me to join them in various trips. One opportunity in particular began to haunt me. I felt like I should go even though the team had “let me off of the hook.” I went to bed that night with the story of Jesus in my mind. It is recorded in Luke 4 that at daybreak Jesus went out to solitary place (presumably to pray, see Luke 5:16). However, the people went looking for him and found him. His response was what stuck in my mind, “I must preach the good news of the kingdom of God, to the other towns also, because that is why I was sent” Luke 4:43. I woke up the next day asking myself the question, “why was I sent, why I have I come to MRN?” I did not come to shy away, I did not come to avoid risks, and I did not come to protect myself. I came to help God’s people pursue the mission of God. That led me to go back to the team and say, “I think the best way for me to adjust is to dive in to the work, therefore, I want to join you in that opportunity.” Now, taking time to rest, be with family, renew and retool is important for all of us and is another lesson learned for another discussion. God has called us to be His “fellow workers” in His mission (1 Corinthians 3:9). I have been told that we need to spend at least 65% of our time in the area of our giftedness, passion and calling. This year has been fast paced and at times overwhelming, however one thing I have learned is that when you are living in what people call your “sweet spot” it is renewing and invigorating. Too many of us are not using the gifts God has given us. We are not spending the majority of our time pursuing the real passion that God has place in our heart. God has blessed me to live long enough to see that my study, preparation, experiences, gifts and passions all converge in equipping churches to be and make disciples in their region and around the world. Lord, thank you for giving me an eternal reason to live. It was one year ago. Sherry and I started our new journey, our year of transition. We left a family and ministry we enjoyed for 30 years. We followed the call of God to use our giftedness, experience and passion to focus on seeing the mission of God accomplished around the globe. It has definitely been an adventure. The Lord has blessed us with many opportunities. Sherry is serving as the Project Site Coordinator at Let’s Start Talking. She is able to empower hundreds to share their lives and share Jesus around the world. These mission teams use a powerful tool of helping people improve their English through reading and having conversations around the word of God. I have had unbelievable opportunities with the team at Missions Resource Network as their Director of Church Equipping. The Lord has used me to help churches send out new missionaries, revision their mission ministry and grow to be better partners with God in His mission. I have been encouraged to personally see God at work through His people in Mexico, Singapore, the Philippines, New Zealand and in multiple sites in the United States. God has blessed us, led us and taught us some important lessons. Over the next few weeks I will be sharing lessons that the Lord has taught us through this past year of transition.